Well, for me half-sized is just about right as a filling meal. 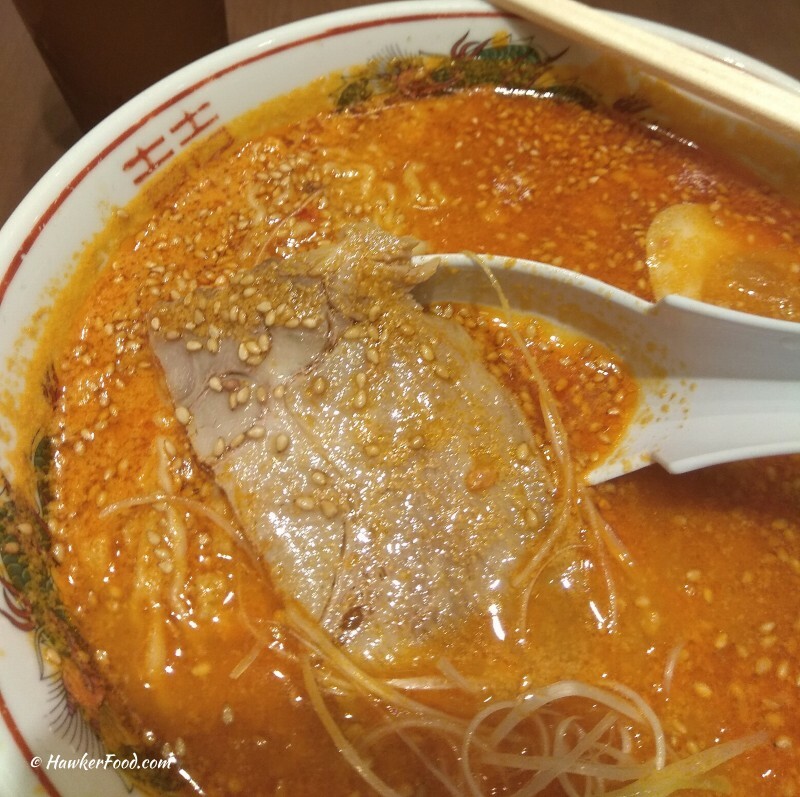 On this visit, I chose the Tantanmen (shop original) and told the staff that I do not want bean sprouts. This probably explains why I did not have the ingredients separated out onto another plate as depicted in the menu. 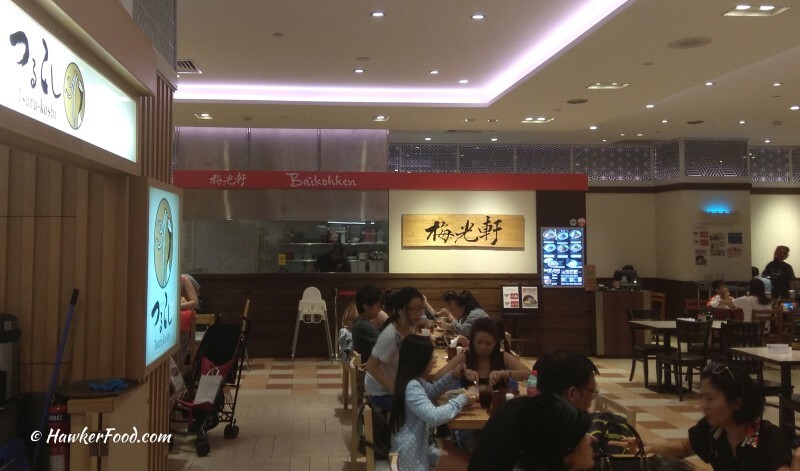 The double happiness (喜喜) bowl always gives you that vintage old-school feel of your childhood memories. 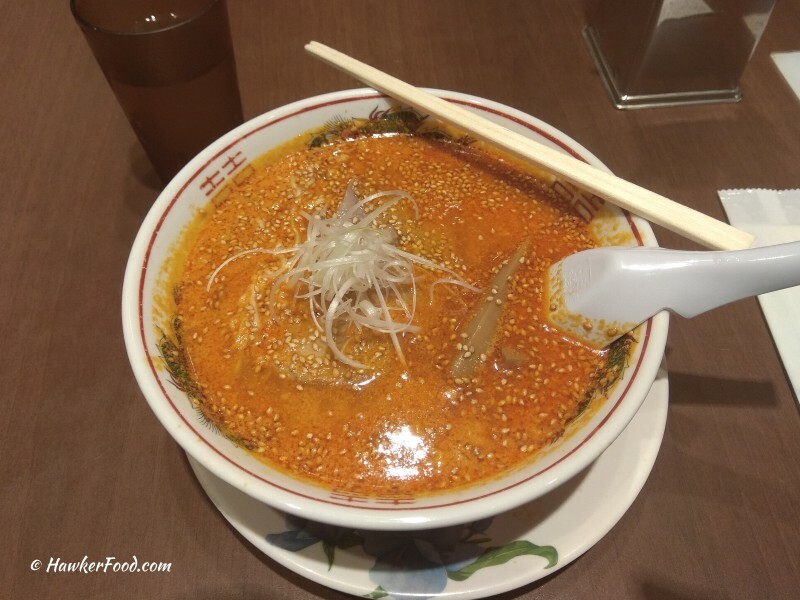 This tantanmen soup base is a miso-flavoured hot and spicy sesame sauce. 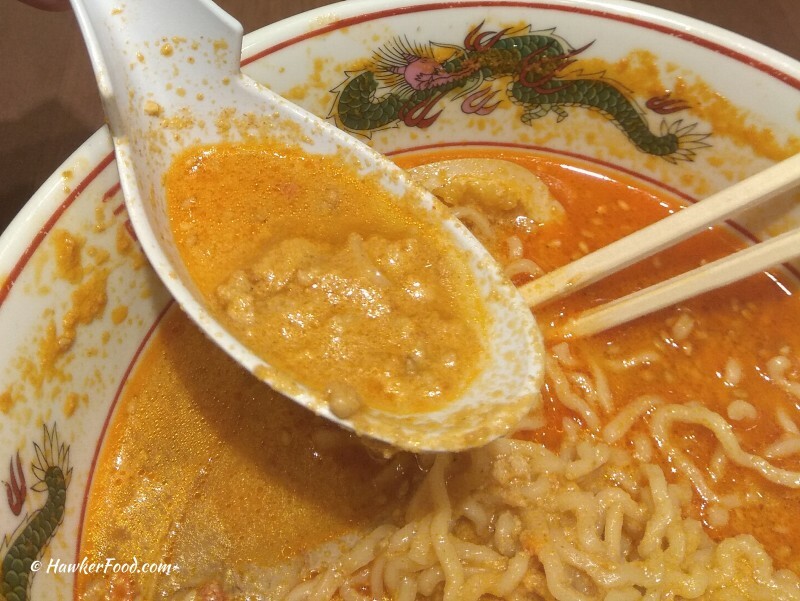 A beautiful and yummy ajitama (flavoured egg) is like a formality with every bowl of ramen. Funny thing about bamboo shoots is I never like eating them when it is used in Chinese cuisine. 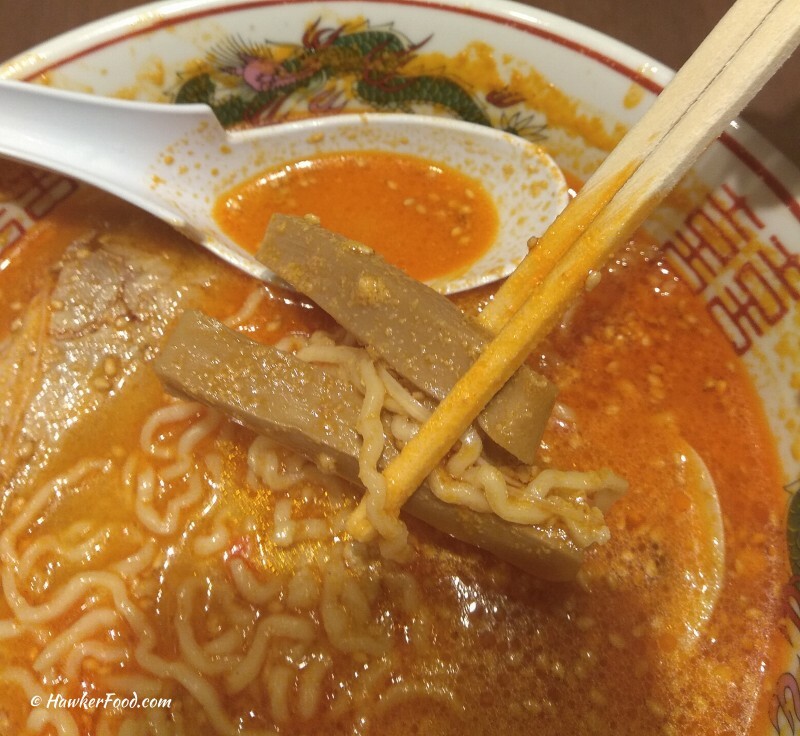 When it comes to ramen, it is a different story as I like to soak them in the ramen soup and munch the juicy-chewy shoots slowly. Meat lovers will like the soaked char siew and its chewy texture. 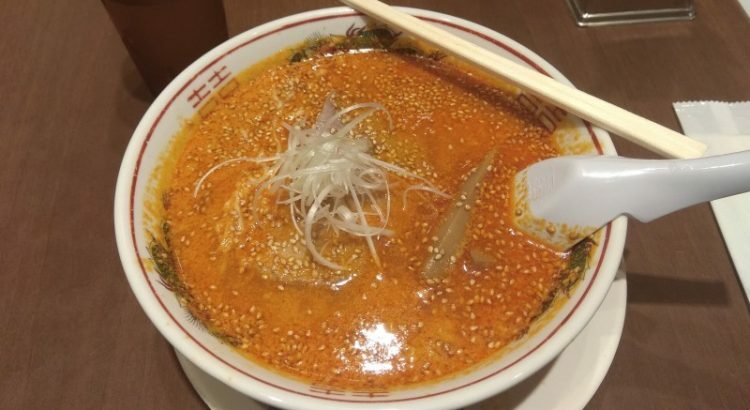 I really liked the delicious and spicy soup base. 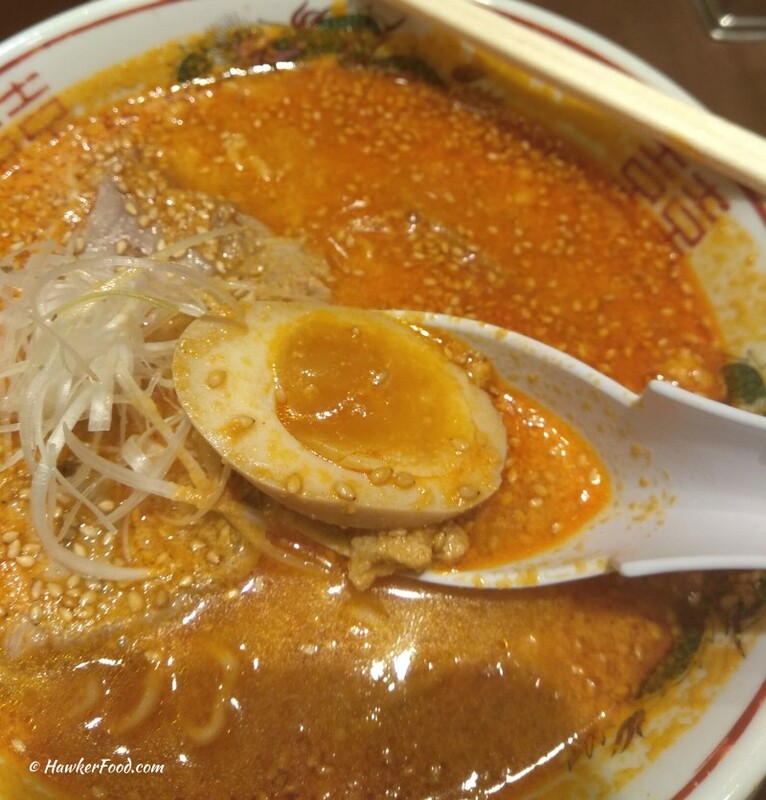 The strong miso and sesame taste combining well with the minced meat to form a spoonful of goodness with every scoop. 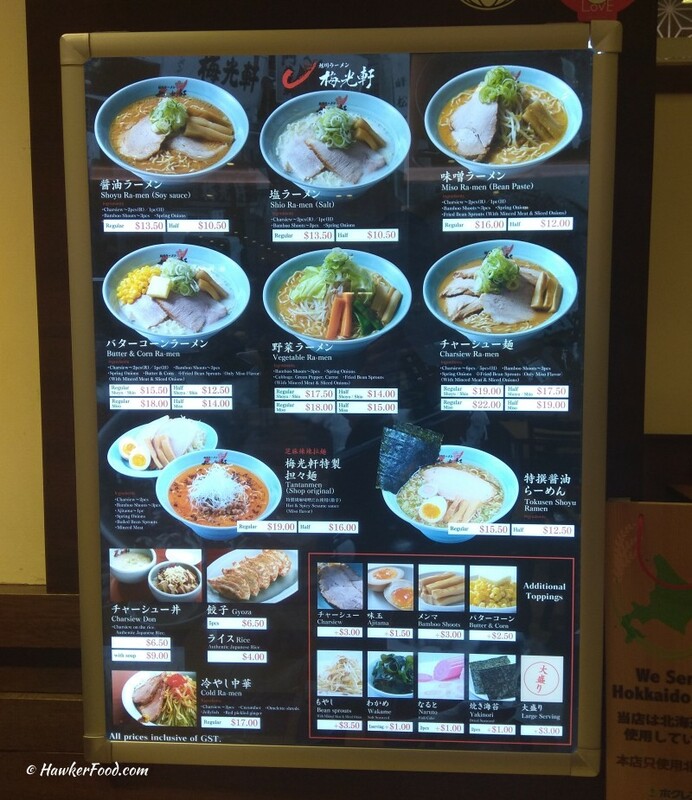 Authentic Japanese ramen at a reasonable price, always a good reason to have a hearty meal that justifies the time spent on shopping later.